I realize that my blog is quickly becoming a Weight Watchers self help guide and I’m kind of okay with that. It’s been nice to just talk about meals and menu strategy like the good ‘ol days, but this time I’m using less butter. Who am I kidding? I’m barely using olive oil. It’s the truth. Now I order vegetarian fajitas with corn tortillas. 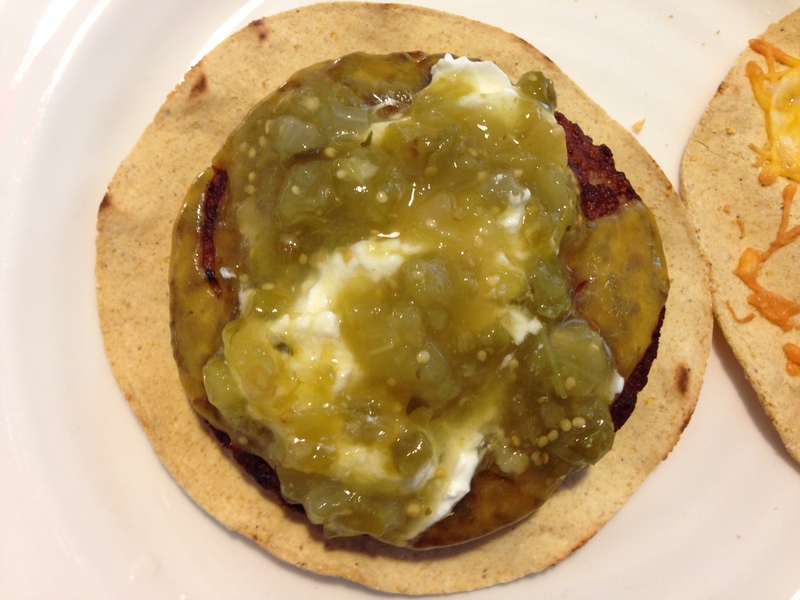 Last night I decided against the tortillas and used a Charras Baked Tostada instead. I put a teeeeeeny tiny amount of refried beans on the tostada first, then PILED on some veggies, and topped with pico de gallo + lettuce + a little guacamole. It was super filling. 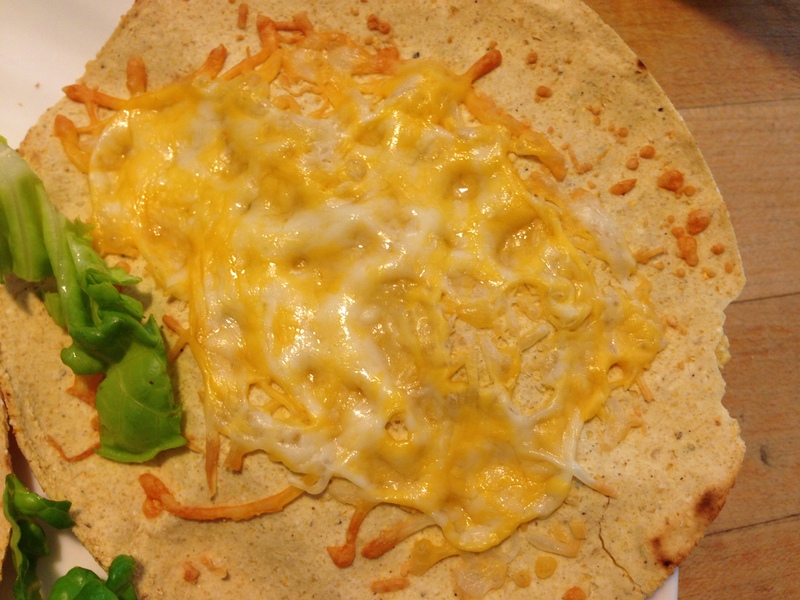 I figured–not knowing how much oil was used in the fajitas– that I could count about 7 points (give or take) for dinner, which gave me enough points to splurge on….QUESO. Instead of using the fried chips, I break my Charras Baked Tostadas in pieces and use them for dipping in the QUESO! Can you tell I love QUESO? Well, I do. So even though I splurged, I didn’t feel terrible about it. Then I got up and walked 3.5 miles this morning just to make double sure I could have leftover QUESO for lunch. I probably need a QUESO intervention. Back to the tostadas. During the week I usually have oatmeal every single morning, which means I need an oatmeal break on the weekends. 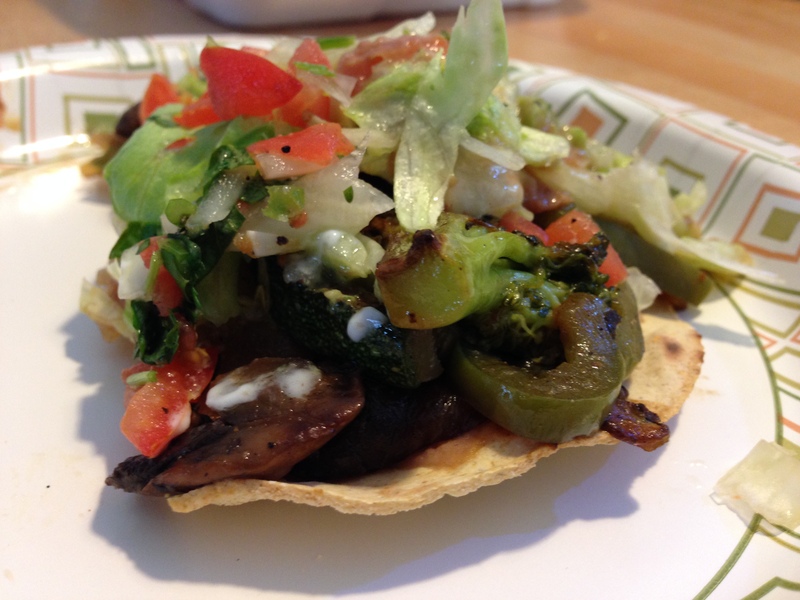 When in doubt…make a tostada. 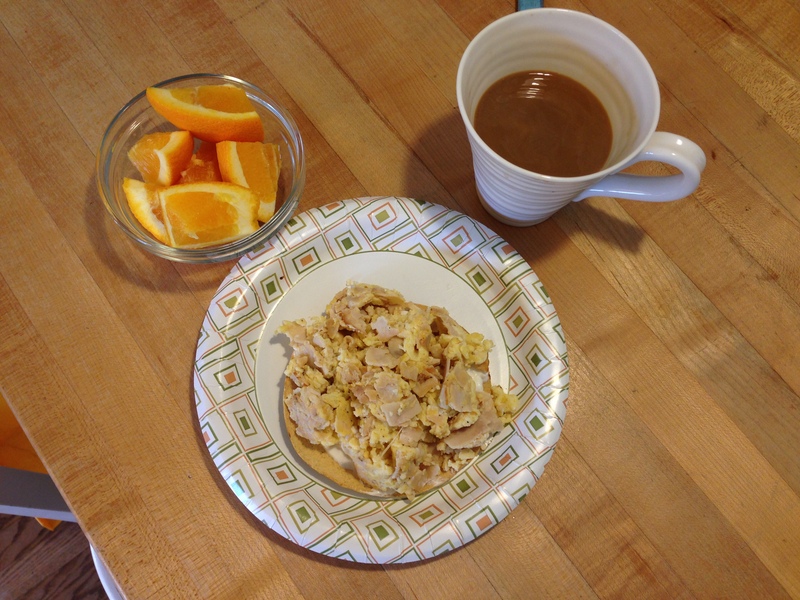 This morning I scrambled one egg (2 pts), one egg white (0 pt), 2 oz diced deli turkey (1 pt), and 1 tablespoon reduced fat shredded cheese (1 pt). I loaded all of that on a Charras Baked Tostada (1 pt). I swear I don’t know the folks at Charras though evidently I totally should. I added a tablespoon of greek yogurt (o pt) to make me think I was loading up on full fat sour cream. Then I inhaled it for a total of 6 points (if you count my half and half in my coffee). I paired it with half an orange. Never in a million years have I ever paired anything with half an orange, but desperate times call for desperate measures. We won’t even talk about the pancakes dripping in syrup and butter that were staring at me the entire time I was eating my incredibly filling and satisfying tostada. Nope, we won’t talk about it. We will also not talk about the fact that my son refuses to eat anything he’s never had before. 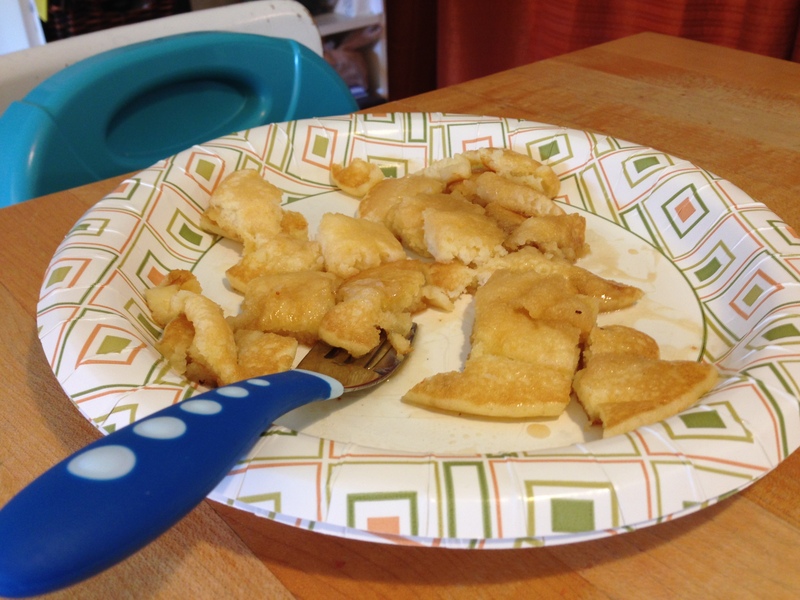 WHAT KID DOESN’T EAT PANCAKES? Mine. Small confession: I had two squares. With butter. And syrup. I AM ONLY HUMAN, PEOPLE. 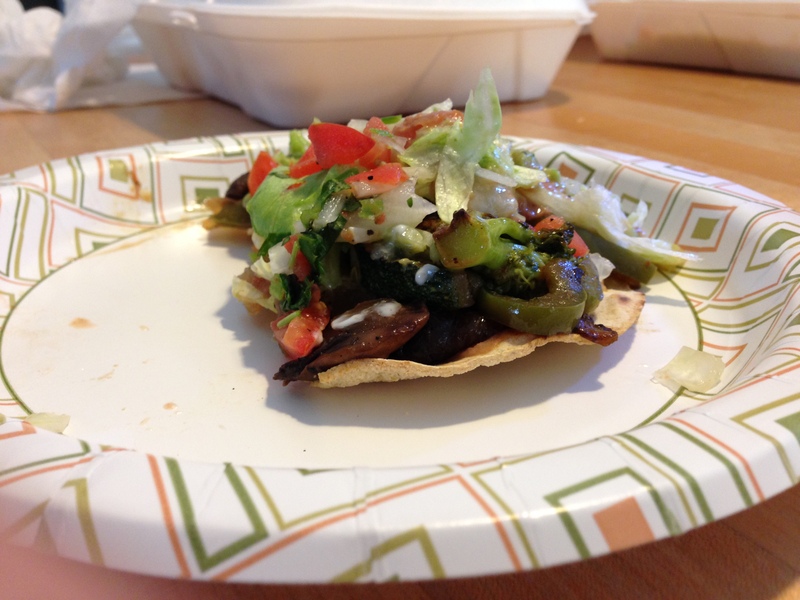 Okay I’m going to leave you with another lunch idea featuring…wait for it…wait for it…the tostada. The photos won’t be fabulous because I mean, how do you make a black bean burger drenched in salsa and greek yogurt look like a masterpiece? I’m sure many of you could do it, but this Mama was starving and had to get a picture before I inhaled this bad boy. 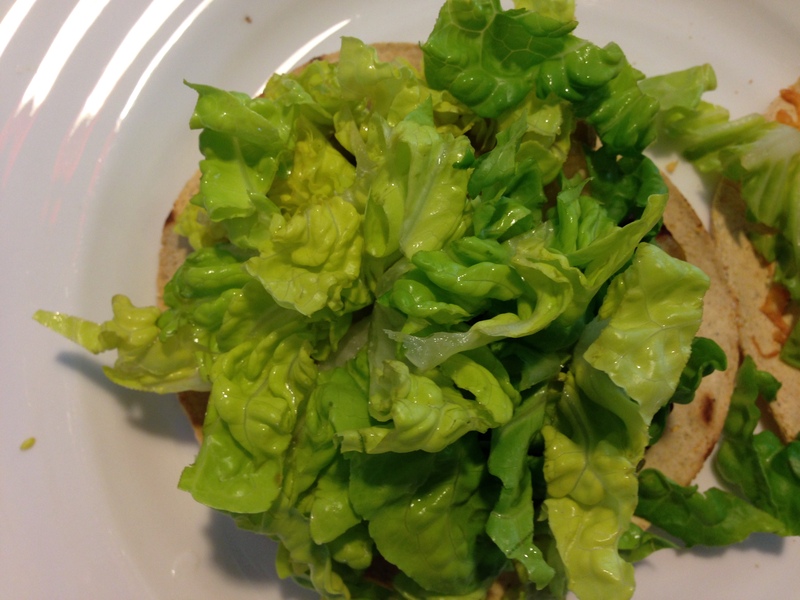 I loaded my tostada (1 pt) with a black bean burger (3 pts) and topped with, Sargento’s Ultra Thin Cheddar Cheese (1 pt), salsa verde (0 pt), greek yogurt (0 pt), and lettuce. Totally filling and only 5 points, which is just the amount of points I prefer to spend at lunch. Again, apologies for the photos but life will go on, I’m sure. 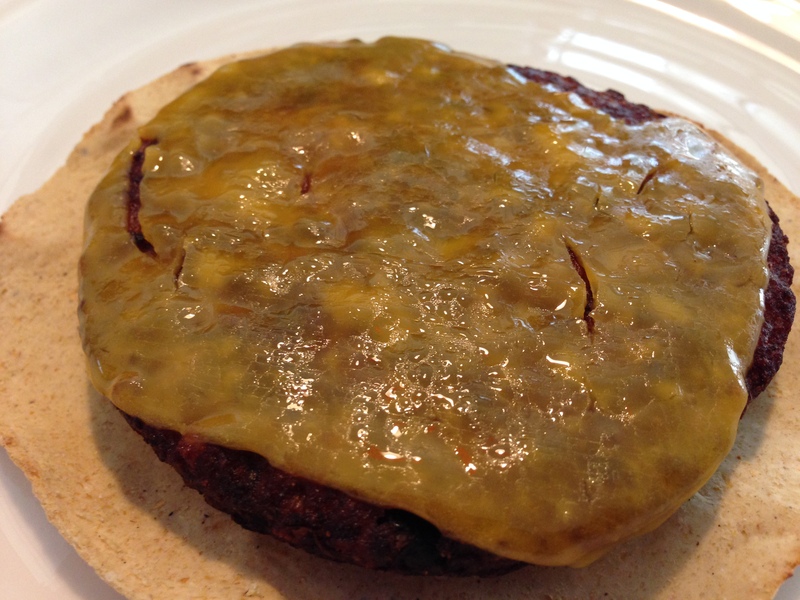 Sometimes for a snack, I put a tablespoon of reduced fat shredded cheese (1 pt) on a tostada (1 pt) and dip in salsa verde. 2 pt snack that makes me feel like I’m cheating. I like to feel like I’m cheating. So there you have it: my tostada obsession and queso strategy. This week marks a total of 17 pounds lost. I’m working hard at it and staying on course is really helping me get through some tough times here lately. This has not been the easiest week as it started with me having to go to my Dad’s house for the first time since he passed away. Those kind of things can really get you off your game and it definitely made this week extra hard, but I’m determined to find my way through all of this without losing complete control again. Thanks to all of you loyal FoodRevival readers for sticking with me on the WW stuff. I will be posting more community food work soon, so bear with me.